She was a teacher in Ilorin, Kwara State when she met veteran actor and producer, Jimoh Aliu. On sighting her, the talent recognition instinct in the producer of popular TV dramas and films, Arelu, Agbaarin and Yanponyanrin, reared its head. He expressed his interest in her and invited her to an arena where he was shooting a movie in the ancient city. On getting there, she decided to play a role in the film. She played it so convincingly that Aliu could not let her go in any way. This marked the beginning of a career that has given Folake Aremu, popularly called Orisabunmi, a tremendous fame. In many of the plays and films she has featured in, she is either a pacifist priestess or a beautiful woman causing a fierce battle between strong men. As a result, she comes armed with magical powers expressed in incantations and some other mysterious manifestations. While these have endeared her to many fans of Yoruba films for years, however, Orisabunmi has not been very visible on the scene in recent years. But those who have missed her face had an opportunity to meet her in Yenagoa, Bayelsa State, last week, as she was one of the stars that graced the African Academy Movie Awards. Asked if she had retired from the business, she eagerly declares that she is still very much in the race. Reliving her experience, she notes that the efforts she and other veterans had to put in the past were more than what goes into film making now. The pioneers, according to her, had to work extra hard to sow the fruits that many new comers now reap. Since technology was scanty then, they had to rely on raw talent, discipline, tutelage and determination to achieve what became the foundation for the industry. She is currently working on a film whose title she prefers not to reveal yet. Recently, she was in the US where parts of the film were shot. Apart from meeting US-based artistes and networking with other stakeholders, she also visited various places of interest. “Face to face, I saw people I had not met before. 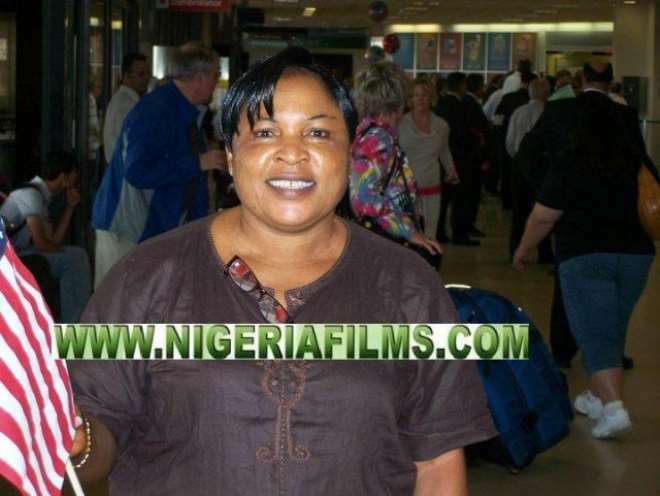 They gave me an award in New Jersey,” Orisabunmi says, adding that she took along copies of her films such as Atupa, Ma Binu Ori and Etekete to the Obama country. On what efforts are still being made to promote Jimoh Aliu's old classics, she notes that Arelu, Yanponyanrin and Fopomoyo are now in VCD. Only Agbaarin is still in video cassette. On the relationship between Aliu, who introduced her into acting, now, Orisabunmi says it is cordial. They got married but separated later, after which she married her current husband.